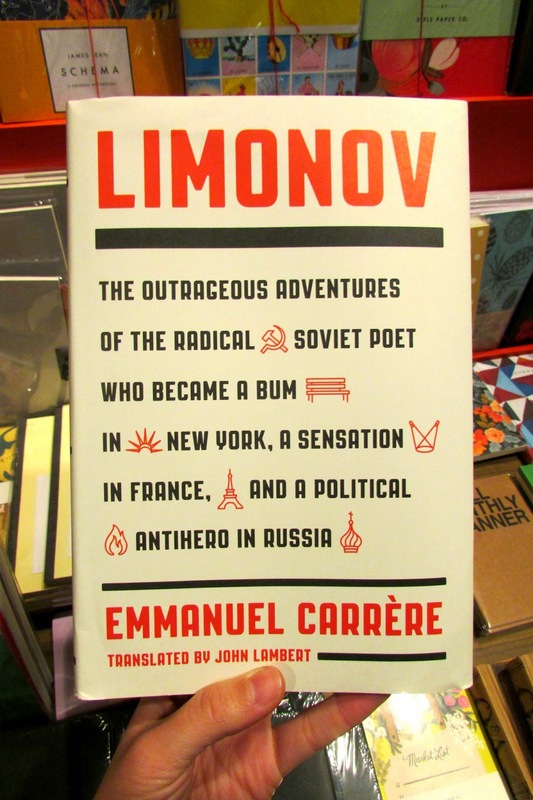 Emmanuel Carrère's fascinating book about the equally fascinating Eduard Limonov has been translated into English from the original French! Limonov: The Outrageous Adventures of the Radical Soviet Poet Who Became a Bum in New York, a Sensation in France, and a Political Antihero in Russia is a semi-fictionalized portrait, or "pseudobiography" of the enigmatic Ukrainian Eduard Limonov. Despite its rather picaresque title, it is actually a dark tale, covering the violence and political upheaval of the second half of the twentieth century. It has garnered heaps of praise since its publication. The New Yorker calls it "maddening, electrifying", Publishers Weekly calls it "astute, witty", and the New York Times calls it a "picaresque gonzo biography" with a "crackling translation by John Lambert." Doesn't hurt either that Gary Shteyngart calls Emmanuel Carrère "France's greatest writer"! Check out José Teodoro's review in the National Post, Matt Taibbi's review over at NPR, or Michael Dirda's review for the Washington Post for more details. Or just come get it for yourself!